Guilty and Guiltier – One law for the 99% and . . .
It’s just a beautiful game. Yeah, sure! Well, at least he’s been sentenced to jail, even if he’ll never actually see the inside of a cell. Argentinian and Barcelona football superstar Lionel Messi has been handed a 21-month prison sentence for tax fraud – and his father was apparently in on the business too whereby the Spanish government and taxpayers were defrauded of €4.1 million. Pretty much everyone knows the round-ball game, most of its administrators and many of its top players are corrupt as hell – though fans touchingly continue to take matches and tournaments seriously. I can’t see it getting any better if courts don’t start treating the crooks they catch the same as they would the rest of us. Tax evasion is bad enough when we wage and salary-earners, and pension beneficiaries, have no escape from the internal revenue sharks. But what about taking your nation into an unjustified and unprovoked violent invasion of another country far from your own borders, assisting in the destruction of that country’s infra-structure, collaborating in the deaths of tens of thousands of that country’s innocent citizens, and creating in the process a chaotic power vacuum that has totally destabilised the entire region? Thirteen years after the event, Former LABOUR Party Prime Minster Tony Blah expresses no regret for his genocidal actions – and Knight of the Realm Sir John Chilcot, after a seven-year investigation, stops well short of demanding that Blah be brought to justice for his war crimes. What went on under the blanket? Well, we expect weasel words from politicians, so we shouldn’t be surprised – but notice that Blah ‘expressed’ sorrow and regret rather than actually feeling it. Is there an apology wrapped in all that BS or not? If so, it’s for stuff done in the passive voice, by agents unknown. ‘Our’ intentions were pure – is that the royal ‘We’? As far as I remember, United Nations inspectors were quite clear at the time. They had found no evidence of weapons of mass destruction; so whose ‘intelligence’ was being ‘assessed’ and by whom? Anyone with half a brain understands that PM Blah knowingly and deliberately misled the British Parliament and its constituents. And for what purpose? I would be interested to see a statistical comparison of the number of Iraqi citizens who died under the Saddam regime, and those who have died as a direct result of the Bush family invasions. Still, that’s in the past, except for the ISIS/Daesh bogey spawned in the chaos created by poodle Blah and his owner George Dubya. However, it’s starting to look very much as though the world’s exemplary democracy, the United States of America is about to elect its first woman president. That’s Hillary Clinton, who knowingly and deliberately used her private email server for official business while she was Secretary of State; who lied about what she had done to investigators, and tried to cover her tracks. In spite of that, the FBI investigation has decided that she should not face criminal charges. Apparently she and her ‘aides’ were merely ‘careless’ and despite ‘evidence of potential violations of the statutes regarding the handling of classified information’, there is ‘no evidence’ that Mrs Clinton had a deliberate intention. How bad can Donald trump be? Now I must admit to some confusion here. What exactly was the ‘carelessness’ the FBI are referring to? Was Mrs Clinton careless in her wrongdoing and in getting caught? Or was she careless in carrying out her duties as Secretary of State? If the latter, what confidence can anyone have that she is competent to be President of the world’s sole remaining superpower? And can anyone clarify for me what exactly a ‘potential’ violation is? It seems the USA has ‘statutes regarding the handling of classified information’ – and I am curious to know whether these statutes were violated or not. I imagine there must be some citizens and potential voters in the United States who would also appreciate clarification on that point. I have read a number of articles recently describing a growing disillusionment with politicians around the globe, and an emerging trend among voters to punish them for their lies and deceit. The ‘Brexit’ vote in the United Kingdom and the general election in Australia are cited as examples of the trend. Sad to say, such negative voting probably won’t make the world a much better place in the short term – but if it gives corrupt and dishonest political leaders a headache or two, some might think it’s worth it. Turkey hasn’t used the Arabic alphabet for 90 years! Beware of Photoshop! Some people don’t like Turkey’s President Recep Tayyip Erdogan. That’s ok, I guess. Outside of North Korea, there aren’t too many countries where the president gets a 100% approval rating. Even in the USA, the latest poll conducted by NBS News and the Wall St Journal showed Barack Obama with 51% support – and that’s not counting the people who don’t bother registering because of America’s electoral sham. Nevertheless, NBS and WSJ seem to think that’s pretty damn good. It’s the best he’s had for years. But still, they’re only polling US registered voters. I haven’t seen any indication that anyone over there is asking whether the rest of the world want Hillary or Donald to take over the big job in November – or neither of the above. They don‘t care, do they? So why should Turkey care what Western media say about their president? Or perhaps more to the point, why do Western media think it’s any of their business? England’s PM David Cameron went on record the other day saying that Turkey could expect to join the European Union somewhere around the year 3000. Apparently he was trying to reassure UK voters, prior to the British referendum on EU membership, that Europe is not about to be overrun by another horde of marauding horsemen from Central Asia. But, to be fair, that’s probably a more honest appraisal of Turkey’s chances than you’ll hear elsewhere. Successive governments of Western Europe have kept Turkey dangling on a string for more than sixty years. 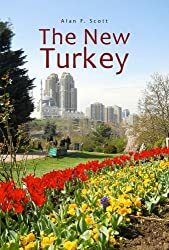 They were quite happy to have Turkey play a buffer role against Soviet Russia during the Cold War, using its convenient location for siting several nuclear missile bases. They accepted Turkey as an associate member in 1963, and magnanimously permitted its government to apply for full membership in 1987. Well, that’s nearly thirty years now, and the odds against seem to be lengthening rather than shrinking. Why? A recent article in Time Magazine provided some of the answers. ‘It’s time for Turkey and Europe to face reality’ said the headline, but the only argument of any substance was the Cyprus issue. Even that is debatable at best. The United Nations and Britain were supposed to protect the island’s independence, but failed to do so when Greece’s military junta attempted a takeover in 1974, forcing Turkey, as the third guarantor, to step in. UN attempts to find a solution have repeatedly foundered on Greek intransigence. Another dubious argument is geographical. ‘Only 3 percent of Turkey’s territory is, strictly speaking, in Europe’ says the writer – yet the gnomes of Brussels would dearly love to have Ukraine in their club, never mind that two-thirds of that country lies east of Istanbul. Isn’t it time modern Europe let go of the ancient Greek and Roman definition of Asia starting at the Bosporus? So where does it start in Russia, which stretches 7,000 km east from Poland, beyond China, Korea and Japan? We get nearer to the truth of the matter when the Time correspondent points out that, in 2014, 69% of Germans and 83% of French were opposed to Turkey joining the EU. Again we may ask why? And in a previous post, ‘Why do they hate Turkey?’ I addressed this question. In short, I believe there is a deeply ingrained fear and hatred of an abstract concept of ‘Turks’ going back a thousand years, fed and nourished regularly by political and religious leaders, and in modern times, by the mass media. Criticism of Mr Erdoğan is merely the latest manifestation of this – it really wouldn’t matter who led the country. Istanbul has just finished playing host to the first World Humanitarian Summit under the auspices of the United Nations. Apart from Germany’s Angela Merkel, however, leaders of western First World countries were conspicuous by their absence. The number of refugees from the Syrian civil war now in Turkey is estimated at 2.7 million. Politicians and news media in the West persist in criticising Turkey while adding fuel to a humanitarian disaster that has been raging for more than five years. A spokesperson from MSF (Doctors Without Borders) said it was ‘unlikely that the same countries who are currently shirking their obligations to refugees would turn over a new leaf next week’. Oxfam’s chief executive spoke of a need to ‘tackle the repeated failure of governments to resolve conflicts and end the culture of impunity in which civilians are killed without consequence’. So who are the real guilty ones? Associated Press reported on 29 April that a US AC-130 gunship, ‘bristling with side-firing cannons and guns’, fired on a charity-run hospital in the Afghan city of Kunduz for 30 minutes before it was realized that the attack was a mistake and the real target was an Afghan intelligence agency building half a kilometre away. 42 innocent civilians were killed and an unknown number injured in the attack. The U.S. government has made “gesture of sympathy” payments of $3,000 to each injured person and $6,000 to each family of the killed. Remains of Kunduz MSF hospital after US ‘mistake’. 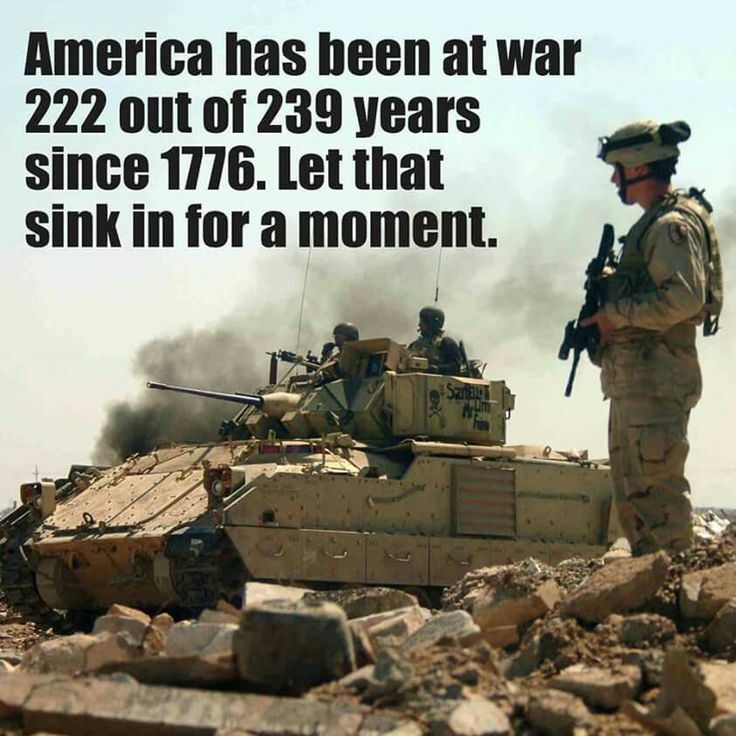 Well, at least the US is kind of at war with Afghanistan. Their government seems to reserve the right to take out people they consider enemies wherever they are. 2009 Nobel Peace Prize winner Barack Obama confirmed last week that an American drone strike had killed an Afghan Taliban leader IN PAKISTAN as part of a ‘reconciliation process that leads to lasting peace and stability’. The deceased gentleman, Muhammad Mansour was apparently considered a threat to American forces in Afghanistan – where the latter have been working for peace for fifteen years. In another positive move towards global peace, Obama was reported on 23 May as announcing an end to the US arms embargo on Vietnam. Vietnam apparently, is emerging as ‘a key strategic partner for the United States’ despite being a police state whose president was formerly head of the Ministry of Public Security, a para-military outfit set up with the assistance of China and Soviet Russia. You can check out a recent report on the state of democracy in Vietnam here. The justification for the invasion of Afghanistan and Iraq, you will recall, was the demolition of the Twin Towers World Trade Centre back in 2001. It seems certain, however, that the US government has been steadfastly refusing to release documents confirming the role played by Saudi Arabia in the New York attacks. Meanwhile, another recent Time article informed us that Americans want a military general in the White House. God bless them! ISD = Independent School District. So who’s got problems? Still if that fails, there’s always Donald Trump. The likely Republican presidential candidate was quoted the other day as suggesting that some teachers in the United States should be armed with guns inside their classrooms. Even if you are one of those who think the big DT is crazy, the fact that he can say it and be reported in reputable news media suggests that it wouldn’t go amiss if some of the billions currently spent on military hardware were redirected to the homeland education system. That’s not very likely, however. Worldwatch Institute reports that the 5% of the world’s population who live in America consume a quarter of the world’s fossil fuel resources; and together with Western Europe, 12% account for 60% of the world’s consumer spending. An article in The Guardian reported that the wealthiest 0.01% of US citizens own as much of the nation’s wealth as the bottom 90%. That figure may be marginally less in Western Europe, but nevertheless, it’s pretty evident that such inequality can only ultimately be sustained at the point of a gun. Turkey’s problem could well be your problem too! US President Barack Obama delivered a stern warning to North Korea, reminding its “erratic” and “irresponsible” leader that America’s nuclear arsenal could “destroy” his country. Kim Jong Un, the North Korean dictator, claimed to have tested a submarine-launched missile last weekend. If the regime does perfect a submarine-launched system then it would, in theory, be able to launch a nuclear attack on the US mainland. But the US were happy to provide Israel with nuclear bomb technology. Come on the Democrats! Let’s see what Hillary can do to beat that! At least Trump is up-front about being a racist war-monger. I have posted articles stating this sad, but true, fact before. But since the U.S. Corporation continues to make its living by waging war, continually, on the disenfranchised peoples of this world, I thought I would share it again.